I want to get my DNA tested. 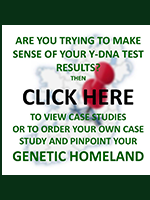 Do you perform the DNA test? What does the DNA test involve? I’m wary of paying online? What if my Surname is not on the database? How do I search for Surnames beginning with O’ and Mc’? Why is there no pay per view option? What else do have planned for the website? Is there anything else I should be reading up on that you would recommend? 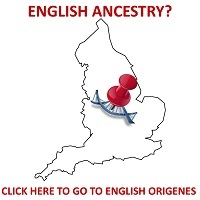 No, anyone wishing to take a DNA test, I advise them to order a 37 Y Chromosome Marker DNA test at Family Tree DNA. 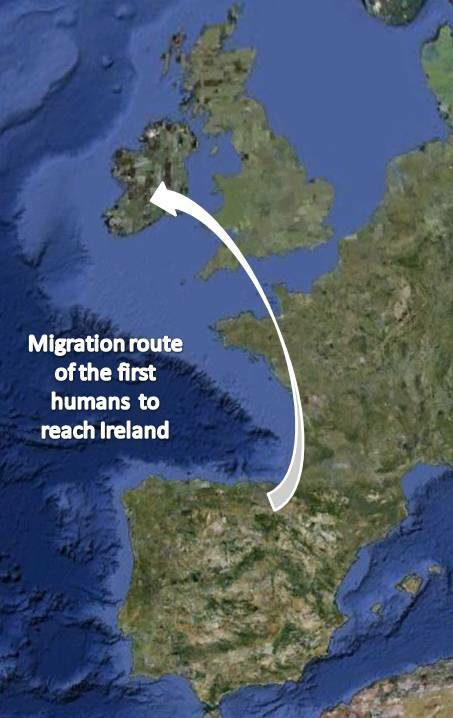 They have the largest database of people tested (in excess of 200,000 people), It is the size of this database that facilitates the pinpointing of one’s ancestor, as many of the Surnames associated with Ireland are well represented. 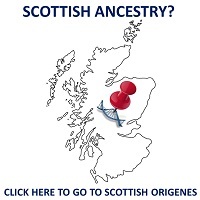 If you do decide to take the test please mention Irish Origenes. The test involves a simple cheek swab from the inside of your mouth. Only males can take the Y Chromosome test as only the Y chromosome is passed from father to son. Similarly the Surname is also usually passed from father to son! If you are female, then simply get your brother, father, grandfather or fathers uncle tested (any male relative). Membership/access to the databases are handled by Paypal, I never receive any details regarding peoples credit card details. It's completely safe. There are currently about 4,500 Surnames on the database, these include Native Irish, Viking, Norman, Gallowglass and in some instances to avoid confusion ‘Planter Surnames’ from the 16th and 17th Century. If you are a member and you have a Surname that is not on the database then simply email it to me, it may be that the Surname is a rare variant of a Surname already on the database. As of March 2012 the databases are open to the public. I am working on a 'Battles Fought on Irish Soil Map.' I am also working on an APP for tourists that will show both the Clan territories of Ireland and the location and details of 1,375 castles in Ireland. Irish Place Names. Flanagan D, Flanagan L (2002) Gill and MacMillan, Ireland. The Surnames of Ireland. MacLysaght E (2007) Irish Academic Press, Ireland. The Norman Invasion of Ireland. Roche R (1995) Anvil Books, Ireland. Hill EW, Jobling MA, Bradley DG (2000) Y-Chromosome variation and Irish origins. Nature, 404: 351. Jobling MA (2001) In the name of the father: surnames and genetics. Trends in Genetics, 17; 6: 353-357. 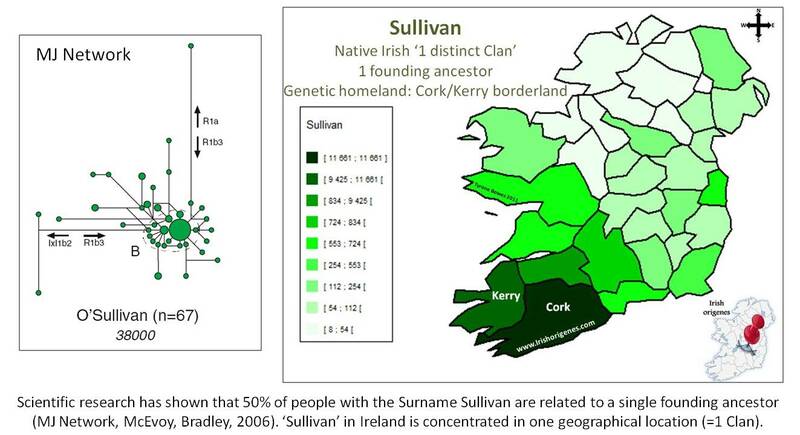 McEvoy B, Bradley DG (2006) Y-Chromosomes and the Extent of patrineal ancestry in Irish Surnames. Human Genetics, 119: 212-219. McEvoy B, Brady C, Moore LT, Bradley DG (2006) The scale and nature of Viking settlement in Ireland from Y-chromosome admixture analysis. European Journal of Human Genetics, 14: 1288-1294. Moore LT, McEvoy B, Cape E, Simms K, Bradley DG (2006) A Y-Chromosome Signature of Hegemony in Gaelic Ireland. The American Journal of Human Genetics, 78: 334-338. Hopefully that answers a good few of your questions, but if you are unsure about anything, then please drop me a line.